After delighting kids and toy collectors in the 1980s, it's nice to see the Transformers still enjoying some modicum of popularity. 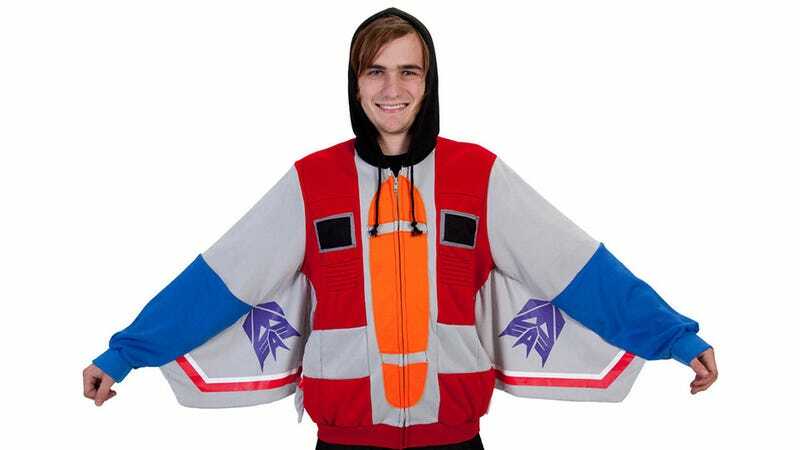 And while the Hollywood blockbusters have been forgettable, this wonderful Starscream hoodie—complete with presumably non-working wings—is not. Following in the footsteps of Nike's excellent Megatron sneakers, this hoodie pays tribute to the Decepticons' second-in-command. And while many may remember him as a bumbling fool always looking for a way to usurp Megatron, Starscream was still very much a part of many of our childhoods.